How is healthcare in your jurisdiction organised? The Ministry of Health (MOH) oversees the regulation of healthcare in Singapore. There are various statutory boards established under the oversight of the MOH, including the Health Sciences Authority (HSA) (established by the Health Sciences Authority Act and the Health Promotion Board (established by the Health Promotion Board Act)). The HSA was formed on 1 April 2001, and integrated five highly specialised agencies, namely the Centre for Drug Evaluation, Institute of Science and Forensic Medicine, National Pharmaceutical Administration, Product Regulation Department and Singapore Blood Transfusion Service. The HSA has been designated as the authority responsible for the administration of Singapore’s health laws and regulations such as the Health Products Act, Medicines Act, Tobacco (Control of Advertisements and Sale) Act and Poisons Act. Singapore promulgated the Health Products Act in 2007 with the intention that the Health Products Act (and all subsidiary legislation promulgated thereunder) will consolidate legislation regulating all health products (including medicinal products). Prior to 1 November 2016, the Health Products Act only regulated medical devices and cosmetics. The Medicines Act and other related legislation regulated the manufacturing, sale and distribution of medicinal products. There is also specific legislation regulating the use of radiation-emitting devices, contact lens substances and condoms. However, as part of the HSA’s ongoing initiative to update and streamline the existing regulatory controls for health products and bring them under a piece of single legislation, namely the Health Products Act, so as to ensure that the controls remain relevant and adequate to different operational and business models, with effect from 1 November 2016, pharmaceutical products, conventionally termed as chemical and biologic drugs, have been introduced as a new category of health products in the First Schedule of the Health Products Act using the term ‘therapeutic products’. Therefore, the existing controls for pharmaceutical products under the Medicines Act and the Poisons Act no longer apply to pharmaceutical products. Medical practitioners in Singapore must be registered under the Medical Registration Act (MRA). The Singapore Medical Council (SMC), constituted under the MRA, governs all registered medical practitioners. The SMC has promulgated the Singapore Medical Council Ethical Code and Ethical Guidelines. In September 2016, the SMC issued the 2016 edition of the Ethical Code and Guidelines (SMC Ethical Code) together with the 2016 Handbook on Medical Ethics, which contains additional materials on the SMC Ethical Code and explains their applications and provides advice on best practices. The SMC Ethical Code came into effect on 1 January 2017 (except Guideline H3(7), which only came into force on 1 July 2017). All registered medical practitioners are required to adhere to the SMC Ethical Code. In addition, the Singapore Medical Association (SMA), which is the national medical organisation representing the majority of medical practitioners in both the public and private sectors in Singapore, has published the SMA Ethical Code. Singapore also established the Allied Health Professions Act 2011 (AHPA), which came into effect on 8 April 2013. The AHPA regulates the allied health professionals listed under Schedule 2 of the AHPA (such as occupational therapists, physiotherapists, speech therapists). The Allied Health Professions Council, which is constituted under the AHPA, is the body that regulates all allied health professionals covered under the AHPA. Further, hospitals and private medical clinics are regulated under the Private Hospitals and Medical Clinics Act (PHMCA). However, the MOH has announced its intention to replace the PHMCA with a new Healthcare Services Act, which will adopt a services-based regulatory framework rather than the current premises-based regulatory framework. A public consultation on the draft Healthcare Services Bill (Draft HCS Bill) was held from 5 January to 15 February 2018. The Draft HCS Bill’s regulatory scope is broader than that of the PHMCA, and would include healthcare services, nursing and allied health services, traditional medicine, and complementary and alternative medicine. How is the healthcare system financed in the outpatient and inpatient sectors? Singapore adopts a mixed financing system that provides multiple tiers of financing for its citizens’ healthcare expenditure. There are four tiers of healthcare financing. The first tier consists of subsidies from the government, which provides a subsidy of up to 80 per cent of the total bill in acute public hospital wards to all Singaporeans. The second tier is the MediSave scheme, which is a compulsory individual medical savings account scheme where all working Singaporeans and their employers contribute a part of the employee’s monthly wages into the account to save for the employee’s future medical needs. The third tier, MediShield Life (which replaced MediShield from 1 November 2015), is a basic, low-cost catastrophic medical insurance scheme that allows Singaporeans to effectively pool the financial risks of major illnesses. MediShield Life is administered by the Central Provident Fund (CPF) Board. Singaporeans may also supplement their basic MediShield Life coverage by applying for a MediSave-approved Integrated Shield Plan directly from one of the private insurers under the Private Medical Insurance Scheme. The Integrated Shield Plans are made up of two components - MediShield Life and additional private insurance coverage providing additional benefits and coverage (eg, to cover the cost of private hospitals or Class A/B1 wards in the public hospitals). MediFund is a medical endowment fund set up by the government to further assist needy Singaporean patients who cannot afford to pay their medical bills despite utilising the first three tiers. ElderShield is a severe disability insurance scheme that aims to provide basic financial protection to Singaporeans who need long-term care, especially in old age, and is designed to help supplement Singaporeans’ savings in the event of severe disability. Separately, the government also administers other subsidy schemes, such as the Community Health Assist Scheme (CHAS) (formerly known as the Primary Care Partnership Scheme), Interim Disability Assistance Programme for the Elderly (IDAPE) and the Medication Assistance Fund. Under the CHAS, general practitioners and dental clinics that have agreed to partner with the MOH will provide common outpatient medical treatment and basic dental services to needy elderly or disabled patients at subsidised charges. The CHAS covers 20 chronic diseases and medical conditions, namely, diabetes mellitus, hypertension (high blood pressure), lipid disorders (eg, high cholesterol), stroke, asthma, chronic obstructive pulmonary disease (COPD), schizophrenia, major depression, dementia, bipolar disorder, osteoarthritis, benign prostate hyperplasia (enlargement of prostate gland), anxiety, Parkinson’s disease and nephritis/nephrosis (chronic kidney disease), epilepsy, osteoporosis, psoriasis, ischaemic heart disease and rheumatoid arthritis. Singapore citizens whose household monthly income per person is S$1,800 and below, or for households with no income, the annual value of residence is S$21,000 and below are eligible to receive subsidies under the CHAS. In addition, the IDAPE scheme provides financial help to elderly Singapore citizens who become disabled but who are not eligible for ElderShield when it was launched in 2002 because they had exceeded the maximum entry age or had pre-existing disabilities. Which legislation governs advertising of medicinal products to the general public and healthcare professionals? As of 1 November 2016, the advertisement of medicinal products and therapeutic products are governed by the Medicines Act and the Health Products Act and their subsidiary legislation, including the Medicines (Medical Advertisements) Regulations and the Health Products (Advertisement of Therapeutic Products) Regulations 2016. On the coming into operation of section 76(1) of the amended Medicines Act, the Medicines (Advertisement and Sale) Act and the Sale of Drugs Act are to be repealed and any subsidiary legislation made under those Acts are to be revoked. There will be no changes to the regulatory requirements of advertisement control for other product groups that continue to remain under the Medicines Act, for example, complementary health products, which include Chinese proprietary medicines, traditional medicines, homeopathic medicines and quasi-medicines (vitamin and mineral preparation, medicated plasters, etc). The HSA Guide on Advertisements and Sales Promotion of Medicinal Products (HSA A&S Guide), the Singapore Code of Advertising Practice (third edition, 2008) (SCAP) and the HSA Explanatory Guidance to the Health Products (Advertisement of Therapeutic Products) Regulations 2016 also set out guidelines pertaining to the advertisement of medicinal products and therapeutic products to the general public. The Singapore Association of Pharmaceutical Industries’ (SAPI) Code of Conduct and OTC Medicine Code of Advertising and Promotion Practices (SAPI OTC Code) further prescribe standards of advertising or promotion that should be adhered to (see question 9). The Singapore Manufacturing Federation’s (SMF) Medical Technology Industry Group’s (MTIG) Code of Ethical Conduct for Interactions with Healthcare Professionals (MTIG Code) in turn sets out principles for ethical collaboration between organisations that develop, manufacture, sell, market or distribute medical technologies (ie, products, technologies and related services and therapies used to diagnose, treat, monitor, manage and alleviate health conditions and disabilities) in Singapore. What are the main rules and principles applying to advertising aimed at healthcare professionals? In Singapore, advertising directed at healthcare professionals must abide by the same rules and principles as those directed at the general public (see question 5). As of 1 November 2016, any person intending to issue any medical advertisement or conduct any sales promotion in relation to medicinal products that are now classified as therapeutic products no longer needs to obtain an advertising permit but the advertisements of therapeutic products must comply with the broad principles of advertising therapeutic products as described in the Health Products (Advertisement of Therapeutic Products) Regulations 2016. Sales promotion includes any sales campaign (including door-to-door sales), exhibition, competition or any other activity for the purpose of introducing, publicising or raising the profile or public awareness or visibility of the therapeutic product for the purpose of promoting the sale or use of any therapeutic product. conducting sales promotion activities such as the offer of any prize, for example, the offer of any health or medicinal product with the therapeutic product or of any sample of the therapeutic product. offer medicinal and other health products (eg, as banded offers) as part of sales promotions intended for healthcare professionals or healthcare institutions. Samples of registered therapeutic products to qualified healthcare professionals may also be distributed at trade fairs and exhibitions where there is no attendance by the public. There is an exception for medical advertisements, sales promotions and representations directed exclusively to a person in his or her business premises who may lawfully sell or supply any medicinal product in the course of his or her trade, business or profession (eg, healthcare professionals). Reference advertisements and trade advertisements as well as any medical advertisements issued or published by any public authority or any person authorised to issue or publish such advertisement by the Minister for Health are also exempted from the requirement to obtain an advertising permit. Reference advertisements are advertisements containing a brief description of a medicinal product, its use, any contraindications and warnings relating thereto or of any device, instrument, apparatus or contrivance used or represented to be used for a medicinal purpose appearing without charge in a publication consisting mainly of such advertisements, and where the publication is sent or delivered to practitioners and pharmacists by a person not commercially interested in the product. Trade advertisements are advertisements relating to a medicinal product or any device, instrument, apparatus or contrivance used or represented to be used for a medicinal purpose that is issued by means of a catalogue, price list or other document for the purpose of a sale by way of wholesale dealing, but that does not contain any recommendation relating to the use of the same other than as part of the name of the medicinal product or device, or as part of any heading or sub-heading indicating a therapeutic classification. Advertisements made to healthcare professionals must not be false or misleading. Section 50 of the Medicines Act states that an advertisement may be false or misleading if it is made to a practitioner for the purpose of inducing him or her to prescribe or supply medicinal products of that description. A person who makes a false or misleading advertisement is guilty of an offence and may be liable to a fine of up to S$5,000 or to imprisonment of up to two years, or both. What are the main rules and principles applying to advertising aimed at the general public? Pursuant to section 20 of the Health Products Act, advertisements relating to health products, which includes therapeutic products, may be false or misleading if they falsely describe the health product or give false information or if it is likely to create an erroneous impression regarding the formulation, composition, design specification, quality, safety, efficacy or uses of the health product. In addition, pursuant to section 19 of the Health Products Act, an advertisement cannot falsely advertise a product as a health product and advertisements in relation to registered health products must not represent the registered health product as being usable for any purpose other than that for which it has been registered. Section 21 of the Health Products Act also prescribes that advertisements should comply with such requirements as may be prescribed by the HSA. general sales list (or over-the-counter (OTC)), which are therapeutic products that can be freely obtained from any retailer. OTC medicines can be marketed and advertised to the public. Any direct-to-consumer advertisements of pharmacy-only medicines must clearly and prominently reflect the mandatory advisories. not include any recommendation by any healthcare professional or any person who, because of the person’s celebrity, social or professional status, is likely to encourage the use of the therapeutic product in the advertisement. There will be no changes to the regulatory requirements of advertisement control for other product groups that continue to remain under the Medicines Act, for example, complementary health products that include Chinese proprietary medicines, traditional medicines, homeopathic medicines and quasi-medicines (vitamin and mineral preparation, medicated plasters, etc). Such advertisements must comply with the Medicines Act (for product groups which remain under the Medicines Act) and the Health Products Act (for health products, which includes therapeutic products). Both Acts prescribe that advertisements must not be false or misleading. is likely to mislead as to the nature or quality of medicinal products of that description or as to their uses or effects. A person who makes a false or misleading advertisement is guilty of an offence and may be liable to a fine of up to S$5,000 or to imprisonment of up to two years, or both. In addition, advertisements to the public relating to medicinal products must comply with the HSA A&S Guide, as well as the SCAP. not directly or indirectly encourage indiscriminate use of medicinal products. rest on claims that a product does not contain a given ingredient that is in common use in competitive products in any way that may give the impression that the ingredient is generally unsafe or harmful. What are the most common infringements committed by manufacturers with regard to the advertising rules? The HSA and government authorities do not make such information publicly available. Under what circumstances is the provision of information regarding off-label use to healthcare professionals allowed? (9) If you use ‘off-label’ drugs, you must ensure that it is in the patients’ best interests, there is rational basis, patients have justifiable medical indications, you have assessed the risks and benefits of such use and patients’ consent to such use has been obtained if they are able to give it. (10) You must not use unlicensed drugs, devices or instruments on your patients unless you have obtained the necessary approvals. You must ensure that such usage is in patients’ best interests and you must obtain patients’ (or their legal representatives’) consent, where possible, before using such unlicensed treatment modalities. If you use ‘off-label’ drugs, you need to be sure that it is justifiable for the medical indications and in patients’ best interests, that there is a rational basis and an acceptable risk profile. Patients need to give consent for such use, if they are able to. (a) You ought to have considered all other appropriate and conventional medical options and deemed them to be less suitable in the circumstances. (b) You need to have a rational basis for the use based on some amount of evidence of efficacy and safety in such use of medicines or treatments. (c) Patients need to be informed and expressly give their consent (if they are able to do so) to the off-label use or use of unlicensed medicines or treatments. (d) The patients should be appropriately monitored for effectiveness and side effects of such use of the medicines or treatments. (e) Proper documentation of the information provided to the patients, their understanding and consent should be made in medical records. Treatments that may well be valid may not yet be licensed. If you wish to use unlicensed drugs, devices or instruments on patients you need to first obtain the necessary approvals from the relevant authorities, ensure that it is in patients’ best interests and obtain patients’ consent (if they can give it, or their legal representatives’ consent) for the use of such medicines or treatments. Paragraph 4.4 of the HSA Explanatory Guidance to the Health Products (Advertisement of Therapeutic Products) Regulations 2016 and Regulation 9 of the Health Products (Advertisement of Therapeutic Products) Regulations 2016 provide that advertising materials relating to unregistered therapeutic products or unapproved uses of registered therapeutic products may be disseminated only at pharmaceutical trade fairs or exhibitions or scientific conferences and forums, where attendance is not opened to the general public (eg, it is restricted to the medical and scientific professionals) provided that the unregistered therapeutic product or the unapproved use has been registered or licensed elsewhere globally. The information presented must not be false or misleading and must be substantiated by objective scientific evidence and must prominently indicate that the therapeutic product or its use is not approved locally. The sale or supply of unregistered therapeutic products or therapeutic products with unapproved uses at these events is strictly prohibited. Section 50(2) of the Medicines Act prohibits the making of any advertisements that consists of or includes unauthorised recommendations in relation to medicinal products that have been licensed. Any person guilty of an offence shall be liable on conviction to a fine not exceeding S$5,000 or to imprisonment of a term not exceeding two years, or both. Which legislation governs the collaboration of the pharmaceutical industry with healthcare professionals? Do different rules apply regarding physicians in the outpatient and inpatient sector? There is no specific legislation governing the collaboration of the pharmaceutical industry with healthcare professionals. However, the SMA and the SAPI have prepared a joint paper (SMA-SAPI Joint Paper), which states that healthcare professionals are expected to place patients’ health and welfare above any financial or commercial gains, whereas the pharmaceutical industry is expected to invest in research and development, to develop new and improved treatment options for the benefit of patients and market them ethically. The relationship between the pharmaceutical industry and healthcare professionals must always be seen to be impartial, honest and in compliance with the ethical codes promulgated by the SMA and the SMC, and the SAPI Code of Conduct. Further, any advertisements or promotions offered by the pharmaceutical industry to healthcare professionals must comply with the Medicines Act and Health Products Act (and the subsidiary legislation thereunder), the SCAP and any other guidelines issued by the HSA pertaining to the advertising of or supply of health or medicinal products. The same rules generally apply to physicians in the outpatient and inpatient sectors. What are the main rules and principles applying to the collaboration of the pharmaceutical industry with healthcare professionals? The pharmaceutical industry must comply with the general principles of advertising as provided for in the Medicines Act and Health Products Act (and the subsidiary legislation thereunder), the SCAP and any other guidelines issued by the HSA pertaining to the advertising of or supply of health or medicinal products, as well as the SMA Ethical Code, SMC Ethical Code, SAPI Code of Conduct, SAPI OTC Code and the MTIG Code. The SMA-SAPI Joint Paper sets out recommendations in relation to the marketing practices of the pharmaceutical industry including promotions, gifts, symposiums or congresses, sponsorship and the supply of samples, as well as consultancy arrangements between the pharmaceutical industry and healthcare professionals. The SMA and the SAPI maintain a strict oversight of the relationship between individual doctors and the pharmaceutical industry, particularly in relation to the acceptance of gifts, promotional items and educational materials by doctors, the invitations from pharmaceutical companies for doctors to travel overseas to attend medical conferences and travel grants associated therewith. The SMA-SAPI Joint Paper also recommends that continuing medical education programmes provided by pharmaceutical companies must be organised through a registered and recognised academic or professional medical society or institution. Where pharmaceutical companies organise marketing talks about their new products, doctors are encouraged to analyse the information presented at such talks critically. Further, section 50 of the Medicines Act prohibits advertisements to practitioners that have the purpose of inducing such practitioners to prescribe or supply medicinal products of that description. Contravention of section 50 of the Medicines Act is an offence for which an offender may be liable to a fine of up to S$5,000 or to imprisonment of up to two years, or both. Section 19 of the Health Products Act prohibits the advertisement of any product as a health product (which includes therapeutic products) if it is not a health product within the meaning of section 2 of the Health Products Act. Similarly, advertisements of registered health products that portray that they are usable for any other purpose other than that for which they have been registered are prohibited. In addition, advertisements must not be false or misleading, and must comply with any requirements that may be prescribed by the HSA prior to its approval of the advertisement. A contravention of the above provisions under the Health Products Act is an offence for which an offender may be liable to a fine of up to S$20,000 or to imprisonment of up to 12 months, or both. medical and scientific opinions of opinion leaders and healthcare professionals must not be disparaged. The SMC Ethical Code states that doctors should only engage in promotion of food, vitamins, tonics and health and nutrition supplements where there is sufficient scientific basis or if they are generally accepted by the medical profession. In addition, the SMC Ethical Code does not prohibit doctors from sponsoring, donating, participating or rendering services for any charitable endeavours. However, where a doctor participates in a medical event, conference, talk or publication, or on an educational website sponsored by pharmaceutical companies or any company marketing health or medical products, such doctor must ensure that his or her participation does not occur in such a way as to appear to endorse such products, or to persuade patients or the general public to use those products. Additionally, the doctor must not permit the publication of any details of services provided by the doctor in relation to such participation. A doctor who is sponsored by a company to participate in an educational event, or who reports research sponsored by a company, must declare all such potential conflicts of interest to the audience. transparency: the company must be open regarding significant financial relationships with healthcare professionals. What are the most common infringements committed by manufacturers with regard to collaboration with healthcare professionals? What are the main rules and principles applying to the collaboration of the pharmaceutical industry with patient organisations? There is no specific legislation governing the collaboration of the pharmaceutical industry with patient organisations. However, the collaboration of the pharmaceutical industry with patient organisations is indirectly regulated by the Medicines Act and Health Products Act (and the subsidiary legislation thereunder), the SCAP and any other guidelines issued by the HSA pertaining to the advertising of or supply of health or medicinal products, as well as the SAPI Code of Conduct. The SAPI Code of Conduct prescribes general advertising or promotion principles that the pharmaceutical industry must comply with (see question 9). Are manufacturers’ infringements of competition law pursued by national authorities? Pursuant to the Competition Act, a person who believes that an entity is in breach of competition law may make a complaint to the Competition and Consumer Commission of Singapore (CCCS). The CCCS may also choose to initiate its own investigation into alleged anticompetitive behaviour. The CCCS can take action against pharmaceutical manufacturers that enter into anticompetitive agreements, engage in an abuse of their dominant position or enter into mergers that substantially lessen competition (or is expected to substantially lessen competition) within any market in Singapore. Where the CCCS, upon completion of an investigation, decides that there has been an infringement of competition law, it may, inter alia, impose financial penalties, issue directions or take other appropriate measures to remedy, mitigate or prevent the harmful effect of the infringement, and to prevent recurrence. Is follow-on private antitrust litigation against manufacturers possible? Only after the CCCS has found a party to be in breach of competition law in Singapore, and after the expiry of any applicable appeal period, can third parties bring actions under section 86 of the Competition Act for loss or damage suffered directly as a result of a manufacturer’s infringement of competition law. There is a two-year time limit for the commencement of such private actions from the time the CCCS issues the infringement decision or from the determination of the appeal, whichever is later. To date, there have been no instances where a party has brought a follow-on private action against a manufacturer. What are the main mandatory anti-corruption and transparency rules applicable to pharmaceutical manufacturers? There is no specific legislation in Singapore on the anti-corruption and transparency rules applicable to pharmaceutical manufacturers. However, the Prevention of Corruption Act (PCA) is the primary statute dealing with corruption offences in Singapore. The PCA criminalises corruption in both the public and private sectors and is enforced by the Corrupt Practices Investigation Bureau (CPIB). any member, officer or servant of a public body doing or forbearing to do anything in respect of any matter or transaction whatsoever, actual or proposed, in which such public body is concerned. Any person convicted of an offence under section 5 of the PCA may be liable to a fine not exceeding S$100,000 or to imprisonment for a term not exceeding five years or to both. a person to knowingly give to an agent a false or erroneous or defective statement, or an agent to knowingly use such statement, to deceive his or her principal. Any person who is convicted of an offence under section 6 of the PCA may be liable to a fine not exceeding S$100,000 or to imprisonment for a term not exceeding five years, or to both. In addition, the ethical codes of the SMA, the SMC, the SAPI as well as the SMF MTIG promulgate the principle that the relationship between the pharmaceutical industry and healthcare professionals must always be seen to be impartial and honest. Is the advertising of medical devices and the collaboration of manufacturers of medical devices with healthcare professionals and patient organisations regulated as rigorously as advertising and collaboration in the pharmaceuticals sector? The advertising of medical devices is regulated under the Health Products (Medical Devices) Regulations 2010.
providing information for medical or diagnostic purposes by means of in vitro examination of specimens derived from the human body, and that does not achieve its primary intended action in or on the human body by pharmacological, immunological or metabolic means, but that may be assisted in its intended function by such means. any instrument, apparatus, implement, machine or appliance intended to be used for the removal or degradation of fat by invasive means. Under Regulation 19 of the Health Products (Medical Devices) Regulations 2010, advertisements of medical devices must not contain any statement that expressly or implicitly suggests that the use of the medical device is promoted or endorsed by the HSA. Advertisements for medical devices that are intended for direct delivery to the general public or for direct use by the general public must not contain any statement concerning the intended use and efficacy of the medical device unless such statement has been verified by objective evidence and where the medical device is a registered medical device, such objective evidence has been furnished to the HSA at the time the application to register the medical device was made. Where the advertisement of a medical device contains any statement, assertion, certification, award or feature of uniqueness or prominence differentiating the medical device from any other competing or similar medical device, the statement, assertion, certification, award or feature must be substantiated by facts or evidence (Regulation 20 of the Health Products (Medical Devices) Regulations 2010). For example, the identity of the certifying or awarding body and the date the certification or award was granted should be stated. Where the advertisement makes any claim of historical precedence in the use or administration of the medical device for the purpose of medical treatment, information on the outcome of that use or administration of the medical device should also be stated. Regulation 21 of the Health Products (Medical Devices) Regulations 2010 states that no person shall advertise any registered ‘professional use only’ medical device or any unregistered ‘professional use only’ medical device that is supplied in accordance with the Regulations, unless the advertisement is distributed only to, or is contained in a publication intended for circulation mainly among, qualified practitioners. Contravention of any of the above provisions is an offence for which an offender may be liable to a fine of up to S$20,000 or imprisonment of up to 12 months, or both. In contrast to the penalties prescribed under the Medicines Act, the penalties prescribed under the Health Products (Medical Devices) Regulations 2010 are more stringent. Which legislation sets out the regulatory framework for granting marketing authorisations and placing medicines on the market? All medicinal products imported into or sold in Singapore are required to be licensed by the Health Products Regulation Group of the HSA. A person who imports or sells medicinal products in Singapore without a valid product licence commits an offence and may be liable to a fine of up to S$5,000 or to imprisonment of up to two years, or both. A medicinal product is defined in the Medicines Act as any substance which is to be used for administration to human beings and animals for the diagnosis, prevention or treatment of ailments including preparations intended for the promotion of health, for anaesthesia or for contraception. The onus of applying for a product licence rests with the licence holder, which is a locally registered company responsible for the safety, quality and efficacy of the product. The HSA may impose licence conditions requiring the medicines to be marketed in accordance with specific requirements. From 1 November 2016, the requirement for a product licence under section 5(1) of the Medicines Act for therapeutic products (pharmaceutical products, commonly known as chemical or biologic drugs) was replaced by product registration under section 15(1) the Health Products Act. Any person who supplies any unregistered health product shall be liable on conviction to a fine of up to S$50,000 or to imprisonment of up to two years, or both. Under the Health Products Act, the activity-based licensing framework will require product registrants to hold an importer’s licence or a wholesaler’s licence if they intend to import or wholesale their own registered therapeutic products. Companies will be subject to good distribution practice compliance before they will be granted these licences. Companies importing unregistered therapeutic products on behalf of healthcare institutions for patients’ use are required to hold an importer’s licence and wholesalers’ licence and are required to obtain approval for the specific consignment. Healthcare institutions importing unregistered therapeutic products for patients’ use are not required to hold an importer’s licence for importation, but are required to obtain approval for the specific consignment prior to importation. Advertisements for therapeutic products will not require an advertising permit and prior approval by the HSA. Notwithstanding, anyone who advertises or causes any product to be advertised as a therapeutic product will still be required to comply with the provisions on the advertisement of health products under the Health Products Act and the Health Products (Advertisement of Therapeutic Products) Regulations. Under the Medicines (Traditional Medicines, Homeopathic Medicines and Other Substances) (Exemption) Order, traditional medicines, Chinese proprietary medicines, homeopathic medicines, quasi-medicinal products, raw materials used as ingredients in the preparation or manufacture of any medicinal product and medicated oil and balms are exempted from the requirement to be licensed by the HSA. Which authorities may grant marketing authorisation in your jurisdiction? The HSA is the government authority endowed with the powers and functions to grant marketing authorisations in Singapore. Subject to certain exceptions, it is a requirement under the Medicines Act and Health Products Act that all medicinal products and health products be registered with the HSA before they can be marketed in Singapore. The marketing of medicinal products and health products must be in accordance with any relevant guidelines issued by the HSA. However, from 1 November 2016, the marketing of therapeutic products do not require prior approval by the HSA. What are the relevant procedures? A company seeking to market a therapeutic product in Singapore must obtain marketing approval from the HSA through making an application for product registration. Different formulations, dosage forms and strengths of the same chemical or biologic entity are considered as different products and will require separate registrations for the individual product. general sale list medicine (GSL). An applicant making an application for the registration of a therapeutic product must ensure that all information contained in the application is truthful and is not misleading. An applicant must inform the HSA of any emerging information that may affect the benefit-versus-risk assessment of the therapeutic product to which the application relates, as soon as the applicant becomes aware of such information. The HSA may require a statutory declaration by the applicant verifying any information contained in or relating to the application. In respect of new product registration, an application can either be in respect of a new drug application or a generic drug application. A generic drug application applies to a therapeutic product that contains one or more chemical entities, and that is essentially the same with a current registered product with respect to its qualitative and quantitative composition of active ingredients, pharmaceutical dosage form and clinical indication. There are four types of evaluation routes for registering a new therapeutic product, namely the full route, the abridged route, the verification route and the verification-CECA route. The full route applies to any new product that has not been approved by any drug regulatory agency at the time of submission. The abridged route applies to any new or generic product that has been evaluated by at least one drug regulatory agency. The verification route applies to any new or generic product that has been evaluated and approved by one of the HSA’s reference drug regulatory agency, which includes Australia’s Therapeutics Goods Administration, the European Medicines Agency, Health Canada, the UK Medicines and Healthcare Products Regulatory Agency and the US Food and Drug Administration. The verification-CECA route applies to any generic product manufactured in India that has been evaluated and approved by one of the HSA’s reference drug regulatory agency, which includes Australia’s Therapeutics Goods Administration, the European Medicines Agency, Health Canada, the UK Medicines and Healthcare Products Regulatory Agency and the US Food and Drug Administration. Applicants are encouraged to contact the HSA by submitting an enquiry via the online feedback form on the HSA’s website or request a meeting or notification prior to the submission of an application if questions arise or clarification is required. All applications are to be made in two parts: through an online submission through the HSA’s PRISM web portal and a hard-copy submission of the registration dossier, which is to be submitted within two working days from the PRISM submission. The registration dossier is to be in the common technical document format, based on the ‘Common Technical Document for Registration of Pharmaceuticals for Human Use’ as promulgated by the International Conference on Harmonisation of Technical Requirements for Registration of Pharmaceuticals for Human Use. After submission, the HSA will screen the application to ensure that the correct application type has been chosen and that there are no deficiencies that would delay the process. The HSA puts in place a stop-clock whenever it raises any queries in relation to the application. The stop-clock ends when a complete and satisfactory response is received by the HSA. Once the application is accepted, evaluation by the HSA commences. A stop-clock is again put in place in respect of any queries raised. Once the application has been evaluated, the HSA will issue a regulatory decision of ‘approval’, ‘approvable’, ‘non-approvable’ or ‘rejection’. Approval and rejection are final decisions issued by the HSA. If an approvable regulatory decision has been reached, the conditions for approval will be stated in writing and the applicant will be required to fulfil these conditions within the stipulated time frame. If a non-approvable regulatory decision has been reached, the applicant will be informed of the non-approvable issues in writing, and a reply should be made within the specified time frame if the applicant wishes to continue with the application. The reply should be based on the original data set as submitted to the HSA; additional data that require evaluation will not be accepted. An application will be considered withdrawn if the applicant fails to reply within the stipulated time frame subsequent to an approvable or a non-approvable decision. Once an application is withdrawn, it is considered closed and the applicant will be required to submit a new application according to prevailing submission requirements if the applicant wishes to pursue the regulatory approval for the product concerned. Upon an approval regulatory decision, the product will be added to the Register of Therapeutic Products. The HSA may register the product subject to post-approval commitments and the applicant will be required to furnish a letter of commitment stating the undertakings concerned. Upon the registration of a product, product registrants are responsible for ensuring the product’s quality, efficacy and safety to the end of its life cycle. The HSA must be notified of any changes to the product’s quality, efficacy and safety. Pursuant to Regulations 26 and 29 of the Health Products (Therapeutic Products) Regulations 2016, confidential information received in support of the registration of an innovative therapeutic product is protected for a period of five years from the date of receipt, during which the HSA will not use the information to determine whether to grant any other registration applications. Confidential supporting information refers to trade secrets and information that has commercial value that would be, or would likely be, diminished by disclosure. A five-year period of exclusivity is granted for a therapeutic product for which safety and efficacy data has been generated in support of its registration. During the exclusivity period, a subsequent similar therapeutic product will not be able to rely on such data generated for the earlier therapeutic product to obtain registration. Pursuant to Regulation 23 of the Health Products (Therapeutic Products) Regulations 2016, an application for the registration of a therapeutic product is required to make a declaration on whether the therapeutic product for which registration is sought is subject to a subsisting patent. A person who makes any statement or furnishes any document which the person knows or has reason to believe is false in a material particular or intentionally suppresses any material fact, furnishes information which is misleading and shall be guilty of an offence under Regulation 25 of the Health Products (Therapeutic Products) Regulations 2016 and shall be liable to a fine up to S$20,000 or to imprisonment for a term up to 12 months or to both. All applications to obtain a product licence in respect of a medicinal product (that is not a therapeutic product) must be in compliance with the Medicines Act, the Poisons Act and the Misuse of Drugs Regulations (subsidiary legislation promulgated under the Misuse of Drugs Act). whether the grant of the product licence would be in the public interest. Pursuant to section 19A of the Medicines Act (introduced in 1998 to enable Singapore to comply with its obligations under article 39 of the World Trade Organization TRIPS Agreement), the HSA is obliged to maintain the confidentiality of information received in respect of innovative medicinal products, subject to the exclusions set out in section 19B of the Medicines Act (which include disclosing the confidential information if, in the opinion of the HSA, it is necessary to protect the health or safety of members of the public; disclosing the confidential information to another governmental department or statutory body, if the HSA is of the opinion that such department or body would take reasonable steps to protect the confidentiality of such information; and disclosing the confidential information to any specific international bodies, such as the World Health Organization (WHO)). Pursuant to section 12A of the Medicines Act, all applications for new product licences must be accompanied by patent declarations in the form set out in Part I of the Sixth Schedule of the Medicines (Licensing, Standard Provisions and Fees) Regulations. Such patent declaration forms must be submitted at the time of application submission, and at any other time as the HSA may require. Generally, a confirmatory declaration will be requested when an approvable regulatory decision is issued. The applicant is required to furnish the confirmatory declaration within the time frame stipulated by the HSA. the applicant is requesting the grant of a product licence after the expiry of the patent (ie, a Category A3 patent declaration). A company that wishes to register a medical device on the Singapore Medical Device Register may make an application to the HSA via the HSA’s MEDICS web portal. whether the device is intended to have a biological effect on the patent. The HSA has adopted the guidance developed by the Global Harmonization Task Force in developing Singapore’s risk classification model. All Class A medical devices are exempted from product registration. While the product registration requirements previously applied to Class A medical devices that are supplied in sterile state, these requirements were removed from 1 June 2018. However, importers and manufacturers are still required to list all their Class A medical devices on the Class A Medical Device Register, to ensure safety and facilitate post-market surveillance and monitoring. All information and documents submitted in support of the registration of Class B, C and D medical devices must be compiled in the ASEAN Common Submission Dossier Template (CSDT) format. Since 1 September 2012, the registration process for Class B medical devices has been expedited. For instance, a Class B medical device may be immediately registered where it has already been approved by any two of the following independence reference agencies specified by the HSA - the US Food and Drug Administration, the European Union Therapeutic Goods Administration, Australia’s Therapeutic Goods Administration, Canada’s Medical Devices Bureau and Japan’s Ministry of Health Labour and Welfare - and has been marketed for at least three years without safety concerns. From 1 June 2018, the requirements were further streamlined such that Class B medical devices with no safety issues globally and the approval of two independent reference agencies, or the approval of one reference agency in addition to three years of marketing history, are also eligible for immediate market access. Additionally, also with effect from 1 June 2018, Class B and C standalone mobile medical applications with no safety issues globally and the approval of one reference agency are eligible for immediate market access. a priority full evaluation process. A medical device may qualify for evaluation under an abridged evaluation process if any competent regulatory agency of a foreign jurisdiction has granted approval for the supply of the medical device in that jurisdiction; the approval by the competent regulatory agency is of a type accepted by the HSA and identified on the HSA’s website at the time of the application for the registration of the medical device; and the medical device complies with all other conditions specified on the HSA’s website. the applicant chooses to subject the medical device to a full evaluation process. A Class B, C, or D medical device may qualify for evaluation under a priority full evaluation process if the medical device is to be evaluated under a full evaluation process and is considered by the HSA to be a novel medical device. Will licences become invalid if medicinal products are not marketed within a certain time? Are there any exceptions? There is no specific expiry date if the medicinal product or therapeutic product is not marketed by the applicant company once approved by the HSA. However, under the SAPI Code of Conduct, the date of first use of all promotional materials circulated to the market shall not be more than two years from the date of approval. Any materials used beyond this point must be reapproved by the SAPI. The approval folder and a sample of each approved item must be maintained locally for a minimum of two years. All published promotional materials should be dated and updated regularly, and the date of print must be printed on the promotional or advertisement document. Which medicines may be marketed without authorisation? In Singapore, medicines and therapeutic products may not be marketed without authorisation. However, it is possible for a doctor or a pharmacist (pursuant to a prescription given by a doctor or dentist) to apply for special approval to import an unregistered medicinal product on a named-patient basis. It should be noted, however, that this would not apply to medicines containing ingredients controlled under the Poisons Act or the Misuse of Drugs Act (and their subsidiary legislation). For such medicines, the relevant licences must be obtained as required under the respective laws. The application to import an unregistered medicinal product on a named-patient basis must be made to the Therapeutic Products Branch of the HSA. The application must include details of the product to be imported for use and the particulars of the importer, the physician responsible as well as the patient to be treated, and submitted to the Therapeutic Products Branch. The consignment of the medicinal product must be imported into Singapore within six months from the approval date, unless otherwise stated. Currently, no fee is charged for approval. Both the importer and the physician responsible must maintain proper records on the supply and use of the medicinal product. a company acting on behalf of a licensed hospital or clinic. In order to import and supply such unregistered therapeutic products, the relevant licences and approvals under the Health Products (Therapeutic Products) Regulations 2016 must be obtained from the HSA. Importers, wholesalers and other suppliers (including hospitals, clinics and retail pharmacies) of unregistered therapeutic products are required to maintain records of, among other things, every receipt and supply of the unregistered therapeutic products. These records must be retained for at least two years from the date of supply, and must be made available when requested by the HSA. Are any kinds of named patient programmes in place? If so, what are the requirements for pre-launch access? An application will need to be made to the HSA to obtain special approval from the HSA to import the unregistered medicinal products or therapeutic products into Singapore. Such approvals are granted on a case-by-case basis (see question 20). To what extent is the market price of a medicinal product governed by law or regulation? The market price of a medicinal product is not generally governed by law or regulation in Singapore. However, the MOH administers several drug subsidy schemes (the Standard Drug List (SDL), Medication Assistance Fund, inpatient drug subsidy, etc). The SDL, which is modelled on the WHO essential drug lists, consists of drugs assessed to be cost-effective and essential to the provision of medical care to all Singaporeans. Currently, the SDL comprises approximately 1,000 drugs (see https://www.moh.gov.sg/cost-financing/healthcare-schemes-subsidies/drug-subsidies-schemes). whether there is sufficient evidence of long-term safety and cost benefits of the drug. Must pharmaceutical manufacturers negotiate the prices of their products with the public healthcare providers? Public healthcare providers generally purchase drugs through a tender process, and it may be possible that the terms of the supply (including the prices) would be negotiated between the public healthcare providers and the pharmaceutical manufacturers. In which circumstances will the national health insurance system reimburse the cost of medicines? As mentioned in question 2, the national health insurance system in Singapore comprises multiple tiers. In general, there is heavy subsidy of services and medicinal products provided by the national healthcare institutions to qualifying Singaporeans. In addition, all Singaporeans must maintain an individual medical savings account scheme, MediSave. 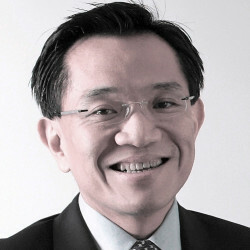 A secondary level of medical insurance scheme, MediShield, MediShield Life (which replaced MediShield from 1 November 2015), allows Singaporeans to pool against the financial risks of major illnesses, whereas ElderShield allows Singaporeans to pool against the financial risks of suffering a severe disability. Integrated Shield Plans are also available as an additional level of insurance for Singaporeans. Further, MediFund is available as a safety net for those who cannot afford the subsidised bill charges, despite MediSave and MediShield Life coverage. The Medication Assistance Fund (which was implemented in August 2010) also assists patients who require costly medication. Through the CHAS, the government has also engaged private general practitioners to provide common outpatient medical services to needy Singapore citizens at subsidised charges. Finally, the government has also introduced the Pioneer Generation Package, whereby Singapore citizens who were aged 16 and above in 1965 and who obtained Singapore citizenship on or before 31 December 1986 are eligible for additional subsidies for their healthcare costs for life. It should be noted that MediSave, MediShield Life, ElderShield and any Integrated Shield Plans do not reimburse the cost of medicines only, but also provide the patient with reimbursement for hospitalisation and certain outpatient expenses. Claims under MediShield Life can be made through the hospital where the patient is being treated. The hospital will inform the CPF Board that the patient is insured under the MediShield Life scheme and submit the claim to the CPF Board. After determining the amount payable from MediShield Life, the CPF Board will make payment directly to the hospital, and the outstanding amount may be settled with the patient’s MediSave or by cash payment, or by a combination of the two. The withdrawal limits for MediSave depend on the type of treatment required by the patient. MediFund assistance is available to Singapore citizens who are subsidised patients receiving treatment from a MediFund-approved institution. A patient who wishes to apply for MediFund assistance must demonstrate that the patient and family have difficulty affording the medical bill despite the available government subsidies and contributions from MediShield Life and MediSave. Such patients (or their family members) may approach a medical social worker at a MediFund-approved institution for assistance. Every MediFund-approved institution has a MediFund committee to consider and approve applications, and decide on the appropriate quantum of assistance to provide. The MediFund committee comprises independent volunteers, most of whom are actively involved in community social work and are familiar with the needs and problems faced by lower-income Singaporeans. The actual amount of assistance provided will depend on the patient’s financial and social circumstances, as well as the size of the medical bill incurred. The Medication Assistance Fund is available to patients who face difficulties affording their medical bills, after MediShield Life or MediSave claims or deductions. Patients who are prescribed with Medication Assistance Fund-listed drugs can apply for the Medication Assistance Fund by approaching a medical social worker in the restructured hospitals and institutions or polyclinics. At present, only a very limited number of drugs are eligible under the Medication Assistance Fund. Under the CHAS, low to middle-low income or disabled Singaporeans with any of the following 19 chronic diseases or medical conditions - diabetes mellitus, hypertension (high blood pressure), lipid disorders (eg, high cholesterol), stroke, asthma, COPD, schizophrenia, major depression, dementia, bipolar disorder, osteoarthritis, benign prostate hyperplasia (enlargement of prostate gland), anxiety, Parkinson’s disease, nephritis/nephrosis (chronic kidney disease) epilepsy, osteoporosis, psoriasis and rheumatoid arthritis - enjoy subsidised charges when seeking common outpatient medical treatment or basic dental charges at participating clinics. In addition, the government introduced the Pioneer Generation Package in February 2014 to help over 450,000 eligible senior citizens with their healthcare costs for life, including the provision of financial subsidies for outpatient treatment (in terms of both services and medications) at polyclinics and specialist outpatient clinics, MediSave top-ups (amount dependent on date of birth) and further subsidies for MediShield Life premiums. If applicable, what is the competent body for decisions regarding the pricing and reimbursability of medicinal products? As mentioned in question 22, the Drug Advisory Committee is the competent body for decisions regarding the pricing of certain medicinal products under the SDL. The reimbursement of medical costs (including hospitalisation costs and costs of medicines) under the MediSave, MediShield Life and ElderShield schemes is decided by the CPF Board. The MediFund Committee determines the reimbursement of medical costs under the MediFund scheme, whereas the MOH is responsible for reimbursements under the Medication Assistance Fund. Are manufacturers or distributors of medicinal products statutorily obliged to give a discount? No; there are no statutory obligations on manufacturers or distributors of medicinal products to give a discount. What rules are in place to counter the counterfeiting and illegal distribution of medicines? Section 31 of the Medicines Act makes it an offence to adulterate medicinal products by adding a substance to or abstracting a substance from a medicinal product so as to affect injuriously the composition of the product. It is also an offence to sell or supply such adulterated medicinal products. A contravention of any of the above provisions may attract a fine up to S$5,000 or imprisonment of up to two years, or both. Additionally, section 5 of the Poisons Act makes it an offence for a person to possess for sale, or to sell or offer for sale any poison without holding a licence to do so. A poison means any poison that is listed under the Poisons List in the Schedule of the Poisons Act. There is an exemption under section 7 of the Poisons Act in respect of medicines supplied by medical practitioners, registered dentists and veterinary surgeons for purposes of medical, dental or animal treatment, as well as medicines dispensed by licensed pharmacists. Such medicines must be distinctly labelled with the name and address of the firm or person by whom it is supplied or dispensed and with a serial or other identification number or mark. Section 8 of the Poisons Act also provides for certain exemptions in respect of poisons sold (eg, sale of poisons to a person or institution concerned with scientific education or research where the poison is required for educational or research purposes) or poisons being exported (eg, exemption applies for sale of poisons to be exported from Singapore to a place other than Malaysia). A person who commits an offence under the Poisons Act may be liable to a fine of up to S$10,000 or to imprisonment of up to two years, or both. 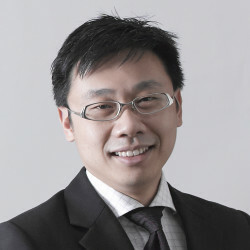 If a Singapore trademark holder’s trademarks are infringed in the manufacture and sale of such counterfeit drugs, the Trade Marks Act provides further protection and sanctions, such as commencing an action for the infringement of trademark as a civil liability, or a criminal offence. It may also be possible to commence an action under the common law of passing-off. Further, it is possible that a Singapore patent may have been granted in relation to the medicinal product. If a counterfeit product infringes a patent (eg, the counterfeit product with a particular active ingredient uses a formulation that falls within a patented formulation), the Singapore patent holder may be able to commence patent infringement proceedings under the Patents Act. The Singapore patent holder may seek, among other remedies, an injunction to prohibit the sale of the counterfeit product against the seller or damages, or both. In addition, section 15 of the Health Products Act prohibits the supply of any health product unless that health product is registered. A person who contravenes section 15 will be guilty of an offence and may be liable to a fine of up to S$50,000 or to imprisonment of up to two years, or both. The supply of health products, which includes therapeutic products from 1 November 2016, that are adulterated, counterfeited or that have been tampered with is an offence under section 16 of the Health Products Act. An offender may be liable to a fine of up to S$100,000 or imprisonment of up to three years, or both. The supply of health products that are unwholesome health products is also an offence under section 16 of the Health Products Act, and may attract a fine of up to S$50,000 or imprisonment of up to two years, or both. To facilitate the general public in making more informed choices as well as in protecting themselves from the dangers of illegal health products, the HSA has compiled a list of detected and tested illegal health products. Consumers and healthcare professionals who wish to obtain more information may conduct a search on illegal health products via the HSA’s website (https://oscar.hsa.gov.sg/Publication/ahpdm/faces/AHPPublication.jspx). What recent measures have been taken to facilitate the general public’s access to information about prescription-only medicines? With the transfer of the legislative controls for pharmaceutical products from the Medicines Act to therapeutic products under the Health Products Act in November 2016, the requirement for a product licence under section 5(1) of the Medicines Act is replaced by product registration under section 15(1) of the Health Products Act. All registered therapeutic products are entered into the Register of Therapeutic Products. The Register is a searchable database published on the HSA’s website (ie, HSA InfoSearch) and an annual fee is payable for retaining the therapeutic product on the register, referred to as the retention fee. where the appropriate non-proprietary name is included on the label, the appropriate quantitative particulars of any active ingredient of the therapeutic product. must retain the prescription for a period of at least two years after dispensing for the last time. where the appropriate non-proprietary name is labelled, the appropriate quantitative particulars of the active ingredients of the medicinal product. There are also specific requirements, such as the requirement that the above particulars, when printed on a label or on the package of a medicinal product, must not be less than 1.5 millimetres in height, and shall be clearly legible and appear conspicuously in a prominent position on the label so as to be easily read by an intending purchaser or user of the medicinal product under normal conditions of purchase or use. Outline major developments to the regime relating to safety monitoring of medicines. The Vigilance and Compliance Branch and Product Vigilance Advisory Committee (PVAC) of the HSA employs a number of post-marketing risk assessment approaches to ensure the continued safe use of health products. Persons who hold a product licence under the Medicines Act or who is a manufacturer, importer, supplier or registrant of a health product under the Health Products Act must report any adverse drug reactions, while health professionals are strongly encouraged to do so. The Vigilance and Compliance Branch, together with the PVAC publishes an Adverse Drug Reaction News Bulletin three times a year and distributes the Bulletin to all medical practitioners, dentists and pharmacists. The aim is to increase awareness of adverse drug reactions among healthcare professionals and to promote adverse drug reaction reporting. The HSA also maintains a list of ‘Dear Healthcare Professional Letters’ on its website, which detail product recalls, product alerts and other news related to medicinal and health products (see www.hsa.gov.sg/content/hsa/en/Health_Products_Regulation/Safety_Information_and_Product_Recalls/Dear_Healthcare_Professional_Letters.html). The PVAC encourages the reporting of any events that are considered as medically significant in the judgement of the healthcare professional. Some examples are events that are fatal or life-threatening, result in or prolong hospitalisation, cause persistent or significant incapacity or disability, or cause birth defects. Reports can be made by healthcare professionals and pharmaceutical companies in respect of drugs and complementary health products as well as vaccines using the relevant form available on the HSA’s website (www.hsa.gov.sg/content/hsa/en/Health_Products_Regulation/Safety_Information_and_Product_Recalls/Report_Adverse_Events_related_to_health_products.html). All adverse event reports submitted to the Vigilance and Compliance Branch are keyed into a national computer database for use in aggregate analysis. The HSA will then communicate safety information through press releases, ‘Dear Healthcare Professional’ letters posed on the Ministry of Health - Health Professional Portal website and the Adverse Drug Reaction News Bulletin. These Adverse Event Reports are also submitted to the WHO-Uppsala Monitoring Centre in Sweden for collation into the world bank of adverse drug reactions. Where the adverse event reported identifies an unexpected adverse event or indicates that certain adverse events occur more commonly than as previously expected, or that some patients are more susceptible to some problems than others, the HSA may decide to change the marketing authorisation for that particular product. For instance, the HSA may impose restrictions on the use of the product, or make refinements to the instructions for use or require the printing of specific warnings of adverse events in the product package insert. Rarely, when the HSA considers that a hazard is unacceptable, a registered health or medical product may have to be withdrawn from the market. Further, there are mandatory record-keeping requirements on all pharmacists for the supply of pharmacy-only medicines to ensure accountability and traceability, as well as to enhance the safe and responsible use of medicines. The information required to be recorded includes the date of supply of the medicine; the name, identity card number, address, phone number and email of the person to whom the medicine is dispensed; the name, strength and quantity of medicine dispensed; and the dose, frequency and purpose of the treatment. Outline your jurisdiction’s vaccination regime for humans. It is a legal requirement for all children in Singapore to be vaccinated against the diseases specified under the Fourth Schedule of the Infectious Diseases Act (namely, diphtheria and measles). However, under the National Childhood Immunisation Programme (NCIP), it is generally recommended that all children are also vaccinated against mumps and rubella, tuberculosis, hepatitis B, pertussis, pneumococcal, haemophilus influenzae type B, tetanus and poliomyelitis, as well as against human papillomavirus (for females aged nine to 26 years). In addition to these, children may commonly also receive vaccinations against other diseases such as, influenza, chickenpox and meningococcal. The NCIP is based on the recommendations of the Expert Committee on Immunisation, which comprises senior officials from the MOH, consultant paediatricians and experts in communicable disease control. The Committee monitors and reviews the NCIP in Singapore, and consults with the WHO and other international bodies when necessary. The Health Promotion Board’s Health Surveillance and Informatics Department, Research and Strategic Planning Division maintains a National Immunisation Registry (NIR), which collects and maintains the vaccination records of children from birth to 18 years of age. All vaccinations given at polyclinics will automatically be updated into the NIR’s records. For vaccinations given at family or paediatric clinics, the doctor will keep the NIR updated as and when a vaccination is completed. If a child misses any vaccination, the NIR will send a reminder letter to the parents. Under the NCIP immunisation schedule, the first vaccinations (against tuberculosis and hepatitis B) are administered when the child is born. Subsequently, parents would need to bring their child for regular vaccinations at a family clinic, polyclinic or paediatric clinic. All recommended immunisations under the NCIP except pneumococcal are provided free-of-charge to Singapore citizens through polyclinics. According to statistics published by the WHO in 2014, the immunisation coverage among one-year-olds in Singapore for diphtheria, tetanus and toxoid, hepatitis B and measles over the past decade has been 93 to 97 per cent. The NIR aims to achieve 95 per cent coverage for immunisations under the NCIP. Drew & Napier’s Competition and Regulatory Practice Group, established in 1999, is the oldest and largest dedicated competition law practice in Singapore. Established six years before the enactment of the Competition Act (Cap.